This is a drawing from 2009. It is one of a series of drawings of mass-produced plastic models of dying soldiers. Most boxes of plastic soldiers contain at least one figure depicting somebody dying. These figures are more dramatic than the others because of what they represent: an imagined final moment of life. This serious little toy is posed at the moment when balance is altered or lost. It could also be seen as a depiction of someone lost in a moment of ecstatic dancing. The more you look at something the more you see. It’s one of a series of drawings that I’ve been working on, on and off, for a few years. 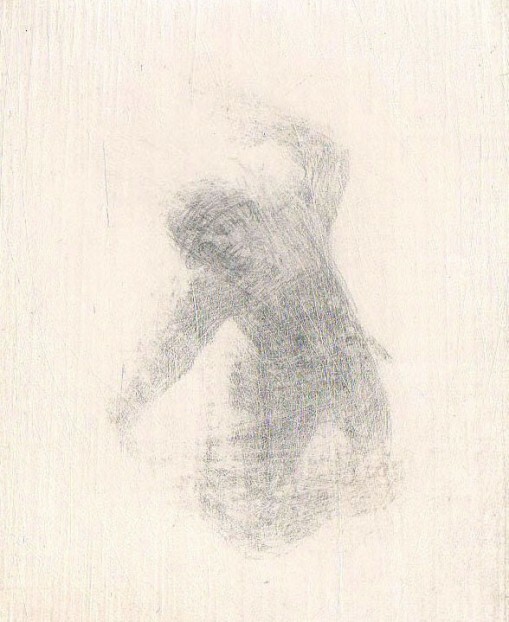 The drawings are small, mostly about 6x5cm (you are probably seeing it much bigger than it is in reality), and they are drawn with silver wire on boards prepared with gesso (an ancient drawing technique known as silverpoint). I’ve fallen in love with this gentle and labour-intensive drawing medium. The drawings are worked on over long periods of time. They are repeatedly redrawn and repeatedly scratched into, worn away and re-drawn. Traces of earlier drawings remain as fragments of other versions of the same image. The re-drawing and re-looking brings something new into play. These works begin as drawings of toys but they become something more through the repeated re-looking. I would like to be able to do a lot more of these drawings but the cost of framing is always an inhibiting factor in making new work. This is always the case for those of us who make works of art that are delicate physical objects. Works of art have lives of their own once they leave their maker’s hands. 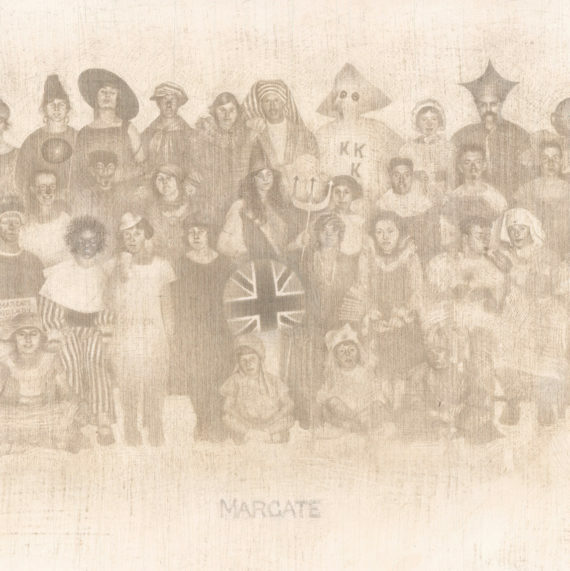 This particular drawing has been shown in a number of exhibitions including: The Jerwood Drawing Prize, a solo show at Marine Studios in Margate and at Millennium St Ives. It presently resides at Millennium St Ives but isn’t presently on display (if you were to ask them nicely, the people at Millennium might let you see it). It’s the image I use for my profile picture for my artist facebook page (https://www.facebook.com/pages/Roy-Eastland/1495390357351370?ref=hl). This body of work is ongoing.